Q: Who was I before I knew about my husband’s betrayal? According to Esther Perel’s new book The State of Affairs, I was in Trauma Denial. The “ignorance” I have been feeling over my stupidity has a name, or better yet, a diagnosis. When you have way too much to lose you are incapable or unwilling to see what was happening right before your eyes. Makes a lot of sense and it made me feel better! Obviously if there’s a diagnosis there are many sufferers. If I truly want to help people make a different choice other than divorce, I need to be armed with ammunition, in the forms of knowledge from experts like Esther Perel and Co-Dependent No More author Melody Beattie. But reading these books are also painful for me and tend to temporarily set me back a few paces. Four years, and it’s still so raw? This is my choice if I want to try and keep families together, isn’t it? He’s right, of course, however it’s akin to having a boxing match in my head. The first boxer is fairly calm, representing what my teacher is telling me, defending himself against his opponent, who is my ego acting all up in my face and my mind! One major point of my book was that there was a lot to forgive, but it can be done! Most of the time I use my voice, the Fifth Chakra, (throat, communication) and speak with kindness. “Water the flowers” is hands down the best advice. Not so easy after you read these self-help books. Am I going to let the ridiculous hyper-active boxer rule me? In Kundalini Yoga we focus on the space between the eyebrows, called the Third Eye. 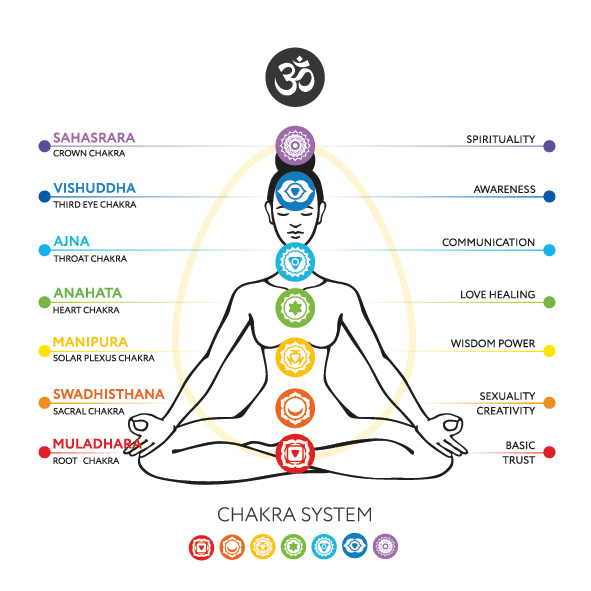 It’s the Sixth Chakra. When you learn to focus at that point you strengthen your intuition. I had intuition all right, just misplaced and mistrusted. I used to say that my husband must be a spy or something and his “real” job is to save the world from terrorists like Arnold Schwarzenegger in the movie True Lies. Arnold told his wife, Jamie Curtis, that he was a salesman, but she soon finds out he’s a highly trained special forces terrorist killer. The point of this divergence is that I was sensing my husband was lying about something, but it wasn’t about his job at all. It was his other life of unexplained disappearances, too many client dinners, extended business trips, the usual. My intuition is very strong now and I’ve finally learned to listen. I used to think it was hocus-pocus, but intuition is a real thing! I cried when Esther Perel mentioned Trauma Denial, especially when it came to surviving infidelity. No man, except maybe one, was ever faithful to me. And that lone faithful man was aloof and detached in his own way. Never enough for my needy, greedy heart. Fourth Chakra, the heart. When the heart chakra is open you have self-love and are able to love others without sacrificing your own self-esteem. When your heart chakra is blocked you depend on others for love and approval; you can be guilty of helper-syndrome where you take care of everyone else outside of yourself. Is it too scary to look inside of you? That’s the co-dependency, the obsession with another instead of taking care of you! It took me a while to realize that yes, his heart chakra closed up the day his sister died, but mine was seriously out of whack and in need of an adjustment. I can’t say anything anymore about someone else because I feel like whatever comes out of my mouth is a direct reflection about how I feel about me! It’s terrifying! Anyone reading this think maybe they are also too outwardly focused? Too dependent on love from others? Would you go as far as using the term co-dependent? I was all these things and never knew there was a way out – or perhaps a way in would be more accurate! If you’ve never tried meditation, start with guided meditations. There’s the Calm.com app or several others. I’ve started leading Kundalini Yoga workshops now and sometimes people criticize my title of Live an Extraordinary Life. It’s personal to me, at 59 years old to finally be able to find self-love, freedom from co-dependency, be able and willing to actually meditate. These changes at my age are nothing short of extraordinary. I don’t use that word lightly or often. And how did these changes come about for me? What can I give you as a take away for your own freedom? Began writing songs as a channel for all the emotional pain. 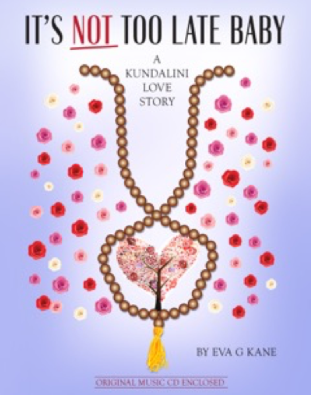 They are all in my memoir / self-help book It’s Not Too Late Baby, a Kundalini Love Story. This was all before I stepped into my first Kundalini Yoga class three years ago. This is how surviving infidelity is possible! So who am I now, after 3 years of constant Kundalini Yoga classes, and a KRI Level I Teacher Certificate under my belt? A much more positive person, who meditates on her Sixth Chakra. Who’s glass is more than half full. This is how surviving infidelity is possible!